Exploring social networks and the opportunities social media marketing provides has become a substantial step in any business growth, especially in the promotion of online businesses. Hence, the importance to explore trends and practices that are currently used and said to lead to the best performance. New layout designs, new best practices, and new tips for online promotion are all part of the job social media marketers face on the daily basis. 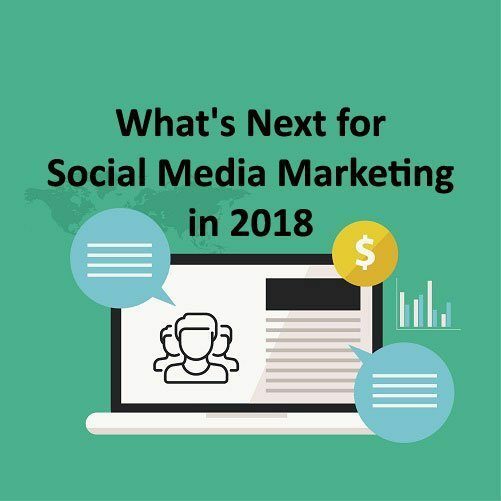 As we summarize what we’ve done well and what areas we still need to conquer in the New Year, it’s time to dig deeper into social media trends and what 2018 has for us in store in terms of using social networks for business. If you’ve been keeping up with online marketing trends for the past few years, you’ve repeatedly seen video as a top performing content format. Videos are engaging, fun, and they are becoming easier to make. Companies have been listening to this trend, and we’ve seen more and more of them using different video formats, including live video streaming. However, this widespread use of video as a content format slowly leads to saturation. The social networks are becoming swamped by video materials, and it’s becoming impossible for social media users to catch up with everything. Thousands of hours of materials are uploaded on platforms such as YouTube and Facebook. Adding the number of videos broadcast through the live videos feature on Snapchat, Instagram, and other platforms, it’s understandable how videos are becoming an integral part of social media user experience. The result is obvious. The users are becoming more selective regarding which videos they will watch. Companies need to ramp up their quality standards, to make sure their videos are the ones online users choose to watch (and share, recommend, etc.). Advice: There’s no doubt that video marketing is still a significant part of an online presence. However, it will become even more important to focus on high-quality content, professional production, and creativity to make sure you keep your viewers engaged and boost the viral potential of the video materials you share with your audience. Over the past few years, organic traffic has been declining. Regardless of the size of your business, regardless the number of social followers, or even engagement statistics, you must have noticed the numbers are dropping. Not only does it lead to poor engagement and low exposure on social networks, but social media traffic is something that has also been affected. If you were thinking about promoting your blog content by sharing it on social networks, don’t get your hopes up. It’s not that your title isn’t right or the image isn’t engaging. Due to the limited organic reach, it’s likely that your post will reach only a small percentage of your followers. Most of them won’t get to see the status update, even if they’re following your social media profile. The reason for this decline is the fact that social networks, such as Facebook, Twitter and LinkedIn, are in fact trying to earn more money from paid advertising. Cutting back on organic reach, they encourage companies to invest more in social advertising. It’s almost come to the point that if you want your social media post to be seen, you have to boost it with paid ads. Beside the monetization, there might be another reason for the social network to make this step. There are so many businesses struggling to get their posts seen, that social media are becoming overwhelmed and unable to keep up the news feed updated with the posts that keep popping up. Hence the need to filter those posts. Using algorithms to predict what the users want to see, social networks might be featuring some content through organic reach, while other pages will notice a significant decline. This trend is having an unfortunate effect on small businesses and those who are just getting started to build their presence on social media. The difficulties they face are substantial, especially if what they rely on is mostly organic traffic, due to insufficient assets to be invested in paid advertising. Advice: Even though this is quite an obstacle, don’t give up on social media just yet. Try to create a long-term strategy, to optimize your efforts and focus only on social networks that do get results (eventually). Also, try to invest in paid advertising, at least to check out if this could be a profitable solution for your business. If you’d like to find out more about this topic, and learn more about how Facebook traffic has been dropping over the years and why, check out this article: The Decline of Organic Facebook Reach & How to Outsmart the Algorithm. The habits of digital buyers are changing, just the way their buying experience is. Buyers are no longer easily swayed by the models in the fancy promos. Instead, they listen to their peers. They seek guidance from their idols in many aspects of their lives, including making decisions on which perfume to buy, which app to install, etc. This is why influencer marketing has consistently been growing in popularity, especially among young people. For businesses, this means that they need to work on completely personalizing their approach. No more generalized content, or team blogging. It’s time to focus on an approach that puts an individual in the spotlight. An individual who represents the company. The idea is for this person to become a bridge that will connect the buyers and the business. The idea is to choose a person that represents your company, that writes for your blog, that shares updates on social media for you, that interacts with the social media users through a personalized profile. All of this, makes your brand more relatable and your approach more personalized and focused on the users. Advice: You should explore opportunities to work with influencers or start creating influencers in your company. Either way, try to focus on that approach where one person is interacting with your target audience. This makes your message more personalized and more genuine, which will be more engaging for social media users. Due to the lack of exposure from social media profiles, companies are exploring a different way to reach online users, and those include using messaging apps. The number of social messaging apps has been on the rise, which means these platforms offer great potential for online promotion. Unlike other forms of online advertising, promotion through messaging apps requires a more personalized approach. It’s necessary to speak directly to the users, to encourage them to get in touch, or simply feature products they are most likely to be interested in. It’s also helpful to use messaging apps to offer customer support. These platforms are familiar to the online users. Online users feel comfortable using messaging apps for communication. To be able to interact with a business this way is a convenience, to say the least. Regardless if they want to ask you in which store they can find your products, what’s your refund policy, or even order from you, allowing online users to get everything they need through a messaging app is a sure way to convert them. Also, the conversation with you is private. As opposed to sharing public status updates or comments, a lot of online users prefer this method of privately sending their inquiry and communicating with you. Advice: As the number of users of social messaging apps is increasing, try to discover which apps you could easily integrate into your business strategy. Regardless if you’d like to share Facebook stories to Messenger, or create stickers for Viber, you should explore features of each app to find the perfect fit for your online marketing strategy. A convenient way to connect with the online readers, or simply a platform for customer service, messaging apps are certainly helpful for boosting your business, so explore this topic in more details here: Messenger Apps for Business: How to Use Chat for Marketing. It’s something new and yet to be conquered, but augmented reality certainly represent an opportunity businesses are looking into exploring. It’s a technology that is yet to spread in use, and businesses have a chance to leverage this new technology into new solutions for social media promotion. As this feature becomes more available to the social media users, it will become more engaging and more entertaining for them to use. It will be a perfect opportunity for brands to establish their presence as well, through augmented reality features. Since the technology is new and the strategies are yet to be defined, augmented reality represents a limitless potential to revolutionize your marketing strategy completely. Get creative and explore ways to implement this feature into the promotion of your business. Allow it to help you connect with your audience through social networks. Advice: Even though it might seem daunting at first, remember that you do not want to be the one left behind. 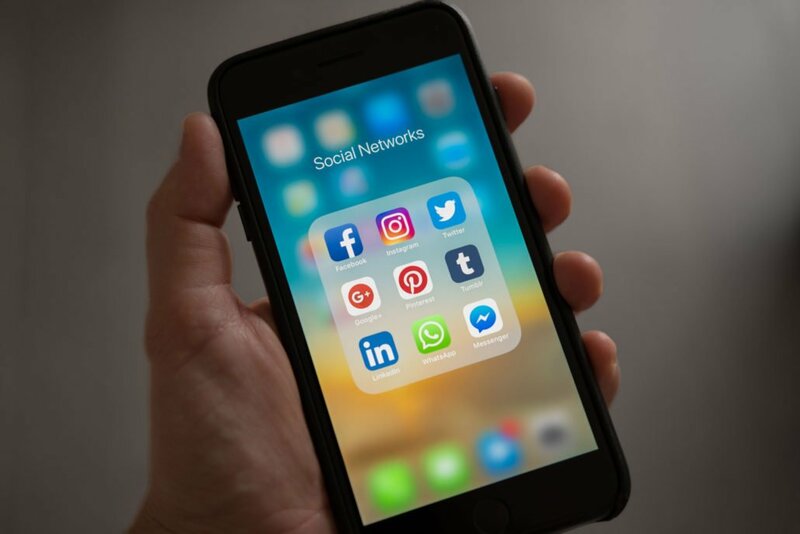 You might be reluctant to jump on this wagon, but have in mind that your competitors might be more willing to embrace this new social media trend. Therefore, you should explore the concept of augmented reality. Try to find new ways to use this technology to bring your brand closer to the online users. Find out more about augmented reality and how it affects social media marketing by reading this interesting piece: How Augmented Reality Is Creating a New Target Market on Social Media. Numerous reports in the industry keep confirming the complete reign of mobile traffic. Desktop traffic has been on a decline for years, and this is particularly true for social media. Unlike websites, social networks report a more significant surge in mobile traffic. People find it more convenient to engage on social media on the go, which is why they are becoming completely glued to the mobile devices. Standing in a queue, waiting for the bus, or watching TV on the sofa, are activities most people nowadays do with the mobile device in their hands. As this report suggests, 21 percent of U.S. online time was spent on social media content. So if you notice people transfixed to their mobile device, there’s a great chance they’re checking out social media websites. What this means for businesses is that they need social media presence. They need to be visible online. They also should explore the use of mobile devices to make sure they’re available at any moment to the social media users. Advice: Besides managing social network accounts, there are also online tools for social media management. These can help you turn your mobile device into a powerful tool to completely manage your online presence on the go. Also, having in mind the statistics related to the mobile traffic, always make sure that content you create for social networks is mobile friendly. Many brands have been reporting positive feedback about leveraging user-generated content in their content marketing strategy. Unlike the content they create, user-generated content seems somewhat more relatable, inspirational, and genuine. Also, this kind of content shows higher engagement level than content created by the brands. Again, the focus here is the user. Social media users are more likely to relate to a story (or an image, video, etc.) posted by other users. Featuring a brand in this content is an opportunity to share peer experience, which has more power to convert social media users and encourage them to buy. Advice: As much as it can seem difficult to encourage users to create content, it is a strategy worth the effort. Try offering awards for participants or organize contests to increase the number of users who take part. The main goal is to increase engagement. Once you do this, you’ll have more success at increasing the amount of user-generated content. Which of these trends are you most likely to explore first and implement in your social media marketing strategy? Share your plans and focus for this year when it comes to using social media for business.